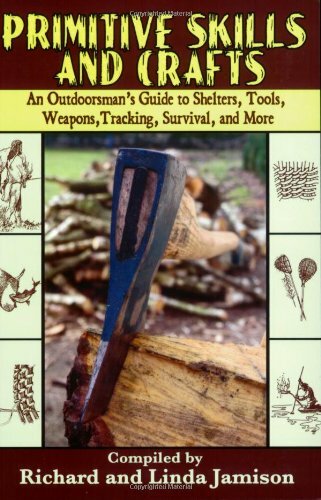 Anyone eager to master survival skills for outdoor vacations, or simply to find a fun new family activity for a Saturday afternoon, will be educated and inspired by the practical advice presented here by archaeologists, anthropologists, primitive practitioners, craftsmen, and artisans. These experts help modern readers rediscover the skills that have served humanity for millennia: fire-making, camp cooking, basket weaving, pottery making, animal tracking, and much more. You can even learn how to turn seashells into arrowheads or make glue from yucca plants. Plus, there’s intriguing information on the benefits of a hunter-gatherer diet. More than just a how-to, this handbook provides inspiration to live life to the fullest.